It all started in 1936, when an ambitious aristocrat, Robert Rochfort, (later the 1st Earl of Belvedere) decided he wanted to marry a popular young woman in Dublin artistic circles, the 16-year-old Mary Molesworth. She evidently sensed he wasn’t quite the catch he appeared, as she resisted his initial advances, but her family, seduced by his power and great name, arranged the match. For a few years, the relationship worked, and the couple had two children. However, he didn’t take to family life, and often left her with the children on the family estate at Gaulstown. The nearest neighbor was his brother, Arthur, and quite understandably Mary visited his house frequently to enjoy the company of adults (as anyone who’s ever lived with small children can appreciate). After Mary delivered four children, it seems Robert lost interest in her. There are suggestions that his mistress poisoned his mind against his wife, and other suggestions that it was his brother, George. He accused Mary of having an affair with his brother Arthur. Accounts dispute exactly what happened next, but it appears that while his brother denied the accusation, Mary admitted it. The two reasons suggested for this are that she only admitted adultery under physical coercion or the claim was a means to try and force a divorce. There is a suggestion that both parties may have been angling for a divorce at this point, but if so, Arthur Rochfort’s next action prevented that because he fled the country, and divorce proceedings could not be brought. After that, Robert decided to lock Mary up in the family home at Gaulstown for the rest of her life. (Arthur returned years later, and Robert finally brought a case against him. Arthur eventually died in a debtor’s prison.) Robert was effectively lord and master of Westmeath at this point, the local MP, an Earl, and a favorite of the King, George II (who was godfather to Robert’s heir), Robert was essentially untouchable and could do as he pleased. 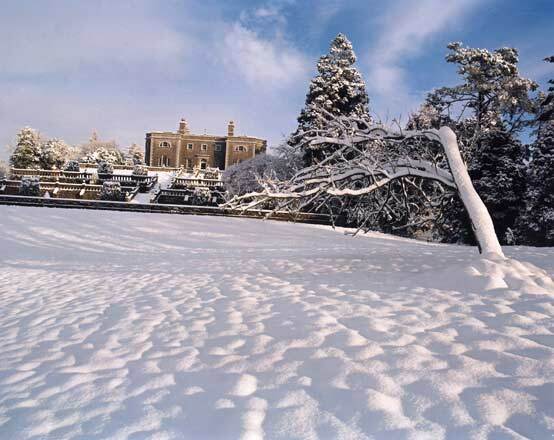 For a time they attempted to share the house, but Robert became angry whenever he’d meet her walking in the grounds, so he built the splendid Belvedere House in 1740 to be the new family home, and moved his household there, leaving his wife a prisoner at Gaulstown. It seems that one of the prime movers against Mary may have been Robert’s brother, George. Although, why this should be so is unclear. Perhaps he was angry as he stood to inherit before Mary produced an heir? Perhaps he had propositioned her and was rejected? Perhaps he was simply a disagreeable person like his brother? Although seemingly close for most of their lives, these two Rochfort brothers later became antagonists when George one-upped his elder brother by building an even larger and grander mansion, Tudenham, within site of Robert’s splendid new home at Belvedere House. Robert then cut his brother from his society completely. 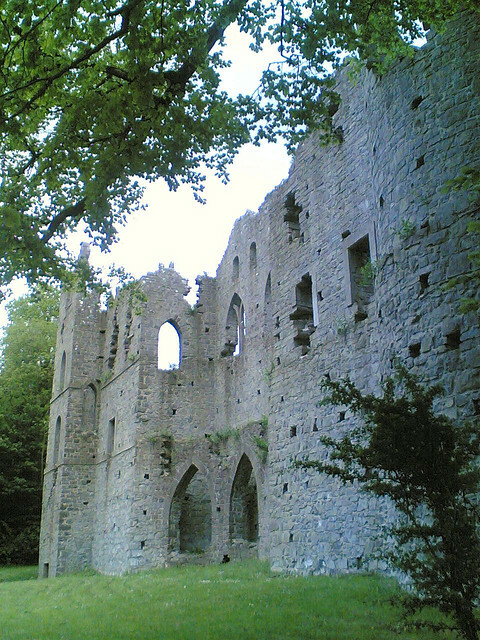 The Jealous Wall, a folly built to resemble a ruined medieval abbey. Robert Rochfort must have been an extremely unpleasant person to have to deal with. He came to inherit his lands and title at the young age of 23, and the power definitely went to his head. There’s even a suggestion that the deaths of several family members were suspicious, as these deaths directly removed obstacles to Robert’s desires. His father died suddenly only three years after his own father, allowing Robert to inherit all at a very young age. His first wife died within the first year of their marriage. His mother, who objected to his marriage to Mary, died almost immediately thereafter. Whether he was guilty of any malfeasance or not, Robert Rochfort was a man who got everything he wanted in double-quick time. In order to avoid looking at George’s house, Robert had a faux ruined abbey wall built to block the sight-lines between their houses. This became known as the Jealous Wall, because that appears to have been Robert’s motivating emotion in life. Jealous of his young wife’s popularity, jealous of his younger brother gaining his wife’s ear, jealous of George’s new mansion. Robert simply appears to be a man unable to get along with anybody for very long. 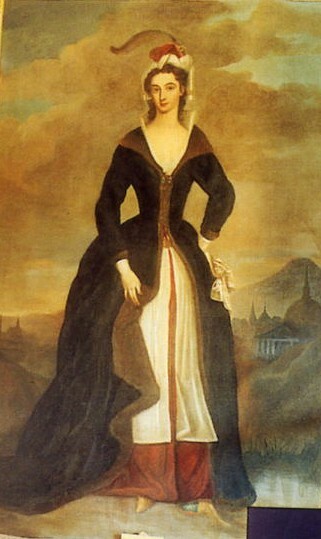 Mary lived a long life, and was finally released from her imprisonment at Gaulstown on Robert’s death, in 1774. Afterwards, she lived with her daughter, and proclaimed her innocence of adultery until her death. Robert Rochfort initially became notorious for his mistreatment of Mary, and he was known for a time as the “Wicked Earl.” However, as time went on the story was put about that Mary was insane — and indeed, 31 years of unjust confinement cannot but have affected her mind — and people began to sympathize with him. The Jealous Wall in the grounds of Belvedere House is all that remains of this internecine quarrel, as Tudenham fell into disuse after the first world war, and is now an overgrown, roofless shell. Visitors to the Belvedere House Gardens and Park can see the genuine ruins of Tudenham through the windows of the fake ruins of the Jealous Wall, and can learn more about this sordid piece of Ireland’s history while touring the house.